Documentation and SupportReleases Lychee Release Notes 2016-12-10Option Added to Allow Conversion of Connector Tables into New Standard Tables. 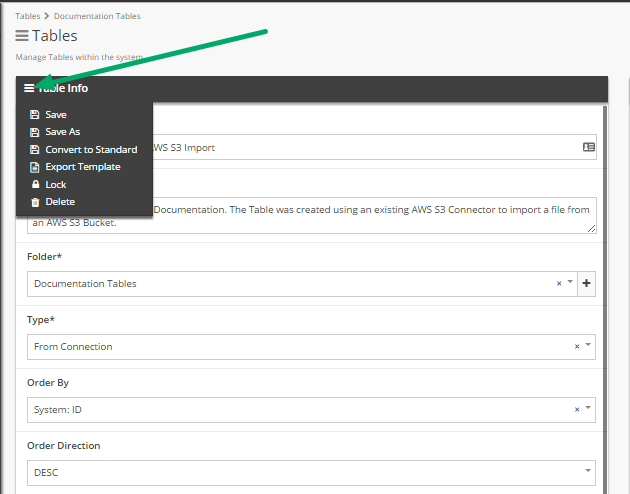 When doing 'Save As' on a Connector Table, you now have the option to save the Table as a new Standard Table. 1. Open the Table Info menu. Click the 'sandwich' to open the drop down menu. 3. Verify that you wish to convert the table. 4. Congratulations! You have converted the Table. 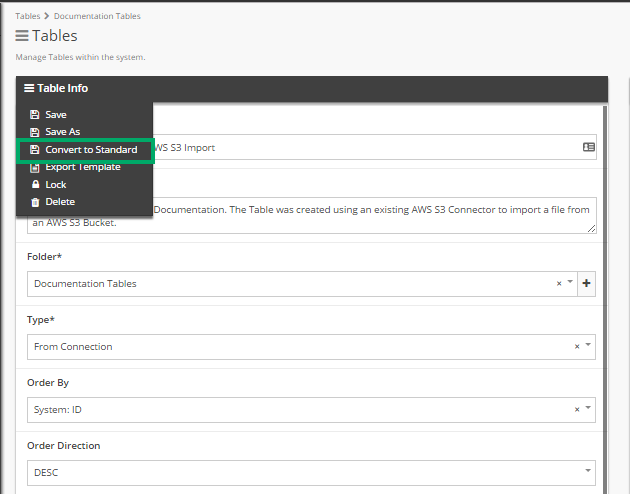 Prev: AWS S3 Support Now Includes Import in Addition to Export. Next: Snowflake Support Now Includes Import in Addition to Export.